By Guest ghovde, May 1, 2006 in INTRODUCE YOURSELF! I just registered and this is my first post. My partner Anne was diagnosed with Stage 4 NSCLC in early December. The cancer has metastasized into her lymphatic system. Since January Anne has been in chemotherapy (taxol/carboplatin) with a 50-60% reduction in the size of her tumors. The oncologist gave her 1 year to live but with the recent results, we're both hopeing she has more time. I'm interested in hearing from survivors with Stage 4 NSCLC and any other information about new drugs. Welcome to the board. I am so sorry to hear your news. I first must say though, that when a doc tells you how long you have to live, I personally think that is crazy! We don't know how long we have before we are diagnosed with such a terrible disease, and we still don't know. There are people who defy the odds every day. I am a prayer person, so I will pray for you and for your partner. Life is certainly an interesting journey. Keep well, stay strong, and live! Hi Gloria, I truely wish the Dr's would say they can't give a time frame. We are all different and respond differently to the various treatments. I am one of several Stage IV's on this site who are still around. I was given one year almost three years ago.....I never asked again. I am still working full time and fishing as much as I can. It will get easier with time...trust me. You must, however, learn to live the moment, one day at time. Don't worry about tomorrow till you wake up. Just keep a positive attitude and encourage Anne to keep fighting. I agree with Jim. Doctors can't say how long we have. I was dx'd March 2003, now a IV. Been through 2 brain surgeries due to a brain met twice, Surgery to remove them. April 2004 and February 2006. I am doing very well and I don't take any meds at all. Just take care of Anne and keep on, keeping on. We are here to support you and help as much as we can. Please keep us posted on how you both are doing. Ignore those time frames. Lots of hope and stage 4 survivors here. I hope Ann does well and proves the doctor wrong. Welcome to the site, let us know how things go with the treatments. Thank you all for your responses. I was feeling pretty blue today but doing better after reading the replies to my post. I especially appreciated hearing from Stage IV survivors! I'm at stage IV and still here. I was told (only because I asked/inquiring minds wanted to know) two years and later this month will be four years. I found staying positive/focused, laughter, being proactive, exercise/keep moving and research, research and more research works for me. It's a mind set--how one looks at things. Not saying it is easy because it is not always but it is doable and one can still have a life. Also lots of good info in NEW TREATMENT, MEDICATIONS & CLINICAL TRIAL and LC IN THE NEWS forums. Hope this helps. Stay with us and keep us posted. Hi, Gloria, and welcome here. My sister's name was Gloria -- great name. My wife is a NSCLC Stage IV survivor and is now 3 years and 7 months from diagnosis. She was told she might live 9 months, but only after we asked. Her onc does not give out a guesstimate (and that is what it is) unless asked. We now know she has much more than the original diagnosis. Lucie had carboplatin/taxotere as her first chemo, much like your case, and it was hard on her but worked very well. There are many other chemos out there after the first one. My wife has been through 4 different ones, and is now on her 5th. She also had extensive radiation on her bone mets through the first years. I'm so sorry to hear about Anne, but I'm so glad you found us. 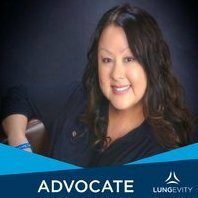 I too was recently diagnosed with stage IV NSCLC, and I know how scary it can be. There are many survivors here and their stories will give you the hope and strength you and Anne need to fight this beast. I wish I could offer you some advice but I am new to this myself and am still learning. I am sending you and Anne a lot of prayers and good thoughts. I can't believe a Dr. quantified Anne's life expectancy, they have no idea how long someone might live. Many people here have defied the odds and beaten the statistics. Fight and stay strong, I will pray that Anne will be one of them. So sorry about the news about Ann. We know that scarey feeling as we all have been through this. There are many IV survivors here. One thing that is very important, LC is not a death sentence. Do not listen to stasticts as so many here were told the same thing and they are doing well, years later. There are so many treatments there, they just have to find the one that works for her. So far what she is getting seems to be helping. Keep her fighting and keep a positive attitude as that is half the batter there. We are always here for you, you are not alone going through this. I am sorry your partner has to deal with the lc. I would be suspicious of any oncologist who made such a pronouncement of a year to live. The smart ones know they don't really know and are reluctant to make such predictions. At any rate, the treatment your partner is having now is good and appears to be working. After she is done, she should consider going to a major cancer center where they have the technology discussed in the links for a review of her situation to see what the next step would be. You and your partner have my best wishes. I'm another Stage IV who was on the taxol/carbo with Avastin for 6 months. I've been kept on Avastin after chemo and will be on that indefinitely. I can answer any questions you might have about Avastin. I also had a 50% reduction after chemo of my tumor and have been stable since then. My Dad is also Stage IV NSCLC with mets and he just made 2 years after being given 9-12 months. I was so happy when that "timeline" was surpassed so Dad could stop thinking about it and just keep on living! He has had good quality of life the past 2 years. Please let your partner know that she shouldn't follow timelines and there is plenty of reason to hope! You will find alot of HOPE here. Alot of survivors defying those statistics and showing that lung cancer CAN be survived! I hope you can draw strength from their stories. Ask lots of questions and we will help as much as we can and we will be here for you. Keep posting! Look forward to hearing more from you. It is so upsetting that doctors do this. Please do not believe the 1 year prognosis. There is so much hope. So sorry that you and Anne had to find us, but glad that you are here -- Don and the others have already given you a great start with info. I too am of the understanding that 50%+ reduction is really good so just know that Anne is off and running well with her treatment course.....and just ignore the doctor statistics -- they can't really predict such things: each patient is different. Knowledge is power with this. Research alot and ask as many questions as you can along the way -- we're here for you! Just welcoming you to the forum. Sounds as if Anne's off to a great start in this fight; as you can see from the other responses, the time frames given don't really mean very much -- "guess-timate" is right. The only advice I have to offer is for you to read through all the posts here and in the other forums (NSCLC, GENERAL, etc., etc. ), ask all the questions you can think of and find out what has worked for the other Stage IV's, and take all your information in with you when you meet with the oncologist whom you should pepper with questions. It may not change anything -- but it'll make you and Anne feel that you're making informed decisions, not panicked ones. Great advice has already been given, (you'll find that alot around here ) and I have to agree - 50% reduction is an EXCELLENT START! Please, add my prayers, and positive thoughts for healing to those above! And welcome! been many responses from stage 4 survivors. Welcome Gloria and Anne,I am stage 4 and was a three year survivor end of last month. I've had surgery twice (left lung removed,and laser surgery to windpipe)radiation and chemo several times. There are many here that can help you along this roller coaster ride. I'm sorry you had a need to find us here, but glad that you have now added a group of 3000+ to help support you and pray for you both. Three is lots of love, knowledge and experience here. My husband is also a Stage IV. From original diagnosis he had mets to the lymphatic system and liver. We never asked the onc for a timeline, but one of the reports that were given us stated 9 months to 1 year. We were devastated reading that, and so scared. Well, as you can see from our bio, that was 3 years and 2 months ago. We have had a lot of laughing, loving, and living in that 3 years. Just know that none of us are guaranteed a tomorrow, not me, and not even you. Accidents can happen any day to any one of us. But with Ann you have had a scare which wakes us up to the realization that life is fleeting so we need to live it and cherish it every moment. Don't ever let an opportunity go by to say I love you, or kiss one another or just be near each other. That is how life should always be lived. With a 50-60-% reduction Ann is off to a GREAT start, and I will be praying for much much more for her. With every disease there are those that defy doctors' beliefs and are medical miracles. Your Ann can also be a miracle. Welcome, Gloria and Anne. So much great advice has already been given ... all I can add is just try to take it one day at a time and try to keep your routine as normal as possible. (It's hard in the beginning with all the appointments, tests, etc. but let Anne know that she has to be the one controlling those things, not letting events control her). Sending out lots of prayers and good wishes for the two of you. Just want to tell you a little true story. The secretary at my daughters job had lung cancer stage 4. She took a leave so that she could have treatment. Long story short: She is back at work (looks great) and the cancer is in remission. Praying for good results for Ann. My thanks to all of you who replied to my original post. Your positive comments and information have kept my spirits high.